Britney Spears, Miley Cyrus, Justin Timberlake, Demi Lovato and Christina Aguilera all did it. Did what you ask? They all began their career in the Disney stable and then made a successful career as a pop star. This week’s subject did it too, firstly as a member of a band with his two brothers, Nick and Kevin and then a brief solo career before forming a new band and having one of the biggest selling singles of 2016. He is Joe Jonas. The Jonas Brothers had their first success as a group in 2008 when their debut single, S.O.S., became their most successful of four when it reached number 13. After they split for individual careers, Nick went first with Introducing Me which spent just one week at number 51, Joe had one solo hit in collaboration with Chris Brown on See No More which spent one week at number 53 and Kevin, whose real first name is Paul, moved into television and after getting married in 2009 he and his wife launched their own reality television show called Married To Jonas. I wonder if Ozzy Osbourne watches is. 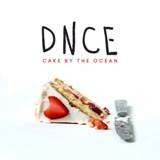 Anyway, Nick then had a solo number two hit in 2015 with Jealous, but Joe, however, decided to form the band DNCE and their first hit, Cake by the Ocean has recently been a top five hit. In addition to Joe, the group comprises female guitarist Jinjoo Lee (who has played for Jordin Sparks and CeeLo Green), former founding member of Semi Precious Weapons, bassist and keyboard player Cole Whittle and drummer Jack Lawless (who was already the drummer for the Jonas Brothers band). The accompanying video features a cake fight on the beach between some bikini-clad girls and the Instagram comedian Josh Ostrovsky and was co-directed by Jonas’ girlfriend Gigi Hadid. There are more singles in the pipeline, Pay My Rent and Toothbrush, which seems to tell the story of Jonas’ personal life as he explained to Billboard magazine, “It’s about taking that next step in a relationship, sometimes you have a drawer at somebody’s place or you leave a toothbrush.” He has been dating Hadid since June last year and she often attends their late-night basement romps and in return he takes time out to catch her on the catwalk at Tommy Hilfiger’s show: “Watching her walk is incredible,” he gushed. Jonas lives on his own in Los Angeles and Hadid lives in New York but he jaunts back and forth between coasts and does indeed keep a toothbrush at Hadid’s place, “a singing Kiss one,” he says with a laugh. In January this year DNCE made a cameo during Fox’s television special Grease: Live; which is a live production of the musical Grease. The band performed as Johnny Casino and The Gamblers during a high school dance scene, which incorporated a 1950s-inspired rendition of Cake by the Ocean and a cover of The Crickets’ Maybe Baby.